This is the big one. PS4 Pro isn't just a new way to shift PlayStation consoles - this is a box of upgraded and updated hardware that will close the gap in advancements made since PS4 launched almost three years ago. By supporting 4K and HDR, PS4 Pro will give players games running at native 1080p with more colours, a greater spectrum of luminosity and a graphical detail we've only ever seen on overclocked PCs. Combining both PS4 and 4K together will future proof PS4 Pro for years to come and has effectively extended the console cycle dramatically. Sure, it's not native 4K, but it's pretty darn close. All those technical upgrades under the hood aren't just there for the benefit of a presentation slide. That upgraded GPU will drive the 4K and HDR capabilities of PS4 Pro and offer a graphical fidelity we simply haven't seen come out of a closed box console. Higher clock rates mean that processor will work harder than ever - and considering we hadn't yet met the capability of the original processor setup in the standard PS4, you can get some idea of just how far PS4 Pro could go in the years to come. That 1TB might sound good, but that's probably not going to be enough will all those day one patches to support 4K and the like. HDR or High Dynamic Range has been around for a while, and it's only just entered the console gaming fray with its introduction with the Xbox One S. What it basically means is the ability to reproduce a larger spectrum of luminosity - so that's a more dynamic lighting system and a far broader palette of colours. So we know that all future PS4 games (including Battlefield 1, FIFA 17, Mass Effect Andromeda, Call of Duty: Infinite Warfare and more), but as the footage of Deus Ex: Mankind Divided and inFamous: First Light proved, it's not just about upcoming games with PS4 Pro. Sony is already planning to upgrade a slew of current PS4 games for PS4 Pro. We got glimpses of the recently released Deus Ex sequel looking even prettier, the neon-obsessed inFamous: First Light, the orc-eviscerating Middle-earth: Shadow of Mordor, the all-out action of Uncharted 4: A Thief's End and more. Sony wants to make sure its biggest titles are ready for this mid-generation jump. PS4 Pro's hardware upgrades will offer higher fidelity graphics and faster and more robust frame rates, but those improvements won't just be benefiting the big, triple-A releases to come. It'll also give smaller developers and studios the opportunity to do more with the hardware at their fingertips. We know that the gorgeous puzzles of The Witness is getting the bump up to PS Pro, and with Sony building so much of the PS4's success on the back of unbridled support for indie game development, opening this tech open to the likes of Killing Floor 2 will mean developers of any size can turn visions into reality. So better games for everyone! To no one's surprise, PS4 Pro won't just be making static gaming experiences better - it'll transform PlayStation VR. Sony has been very open about the disparity between PS VR and Oculus Rift and HTC Vive, so the introduction of PS Pro will help PS VR support immersive worlds with firmer framerates and a graphical fidelity that doesn't suffer from moving into the virtual reality space. For VR as a whole, this is a huge difference. With PS4 having sold so well and found its way into so many homes, the PS VR could well be the platform that gets VR into the mainstream so all that extra power will pay dividends over the years to come. This is a big one. With all those millions and millions of PS4's sold since November 2013, introducing a 'new' console three years in could seem like a surefire way to alienate the audience that's made you the clear frontrunner for the current generation. 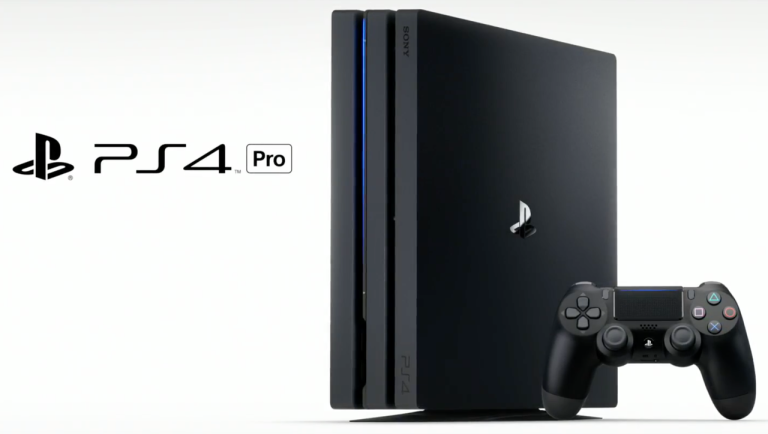 But PS4 Pro won't be offering new gameplay experiences or content - everything PS4 Pro players can play will be available to those playing on vanilla PS4s. The only difference is a performance and graphics upgrade that makes it play and run smoother. Rolling out a HDR upgrade for all PS4s is a brilliant move and will help ease that wound for those of us that can't afford to make the upgrade in November. Price wise, we were a little worried the hardware boosts would mean a much higher price point for the PS4 Pro at launch, but Sony has clearly learned from the harsh lessons of the PS3 when it hit the market with an inflated price tag. Considering three years have passed since PS4 launched, you're getting all those upgrades for a price that's not far off the cost of the original console. Sure, it's £50 more than the vanilla PS4 in 2013, but it's a worthwhile investment for a console that offers 4K support, HDR and improved support for PS VR. Another big one. With PS4 helping make videogames more mainstream, what better platform to help drive the penetration of 4K TVs into households? We all know 4K is going to blow up this generation, so having a console like PS4 Pro under your 4K TV will finally give you the all-round experience you've always wanted beyond certain channels on Sky. Now you can play games in 4K, then switch over to streaming apps such as Netflix and watch over 600 hours of content optimised for this high fidelity experience. In short, it's a real gamechanger. We were pondering this very issue as we live tweeted the PlayStation Meeting in September, with a number of developers confirming that their games would support PS4 Pro from launch. If you're making FIFA 17, Battlefield 1 and Call of Duty: Infinite Warfare PS4 Pro-ready in 2016, surely the console can't be far behind. And lo and behold it's coming this year. And before Christmas, too! Almost three years to the day, Sony will launch PS4 Pro worldwide on 10 November. And with PS VR out the month before, we're finally getting the full PlayStation experience in time for the holidays.